Here at the #Integrate2017 event in London (26-28th June), I loved the keynote today by Jim Harrer (Microsoft Pro Integration Group PM). During the last 5 minutes of his presentation, he nailed it! As I wrote before in another blog post (“Integration is just one of the skills needed”), iPaaS is not about just integration, it’s about creating business apps. Integration is part of the multi-disciplinary teams that build solutions. And these solutions are more and more built by using the 80+ Azure PaaS building blocks (see my most recent blog post “iPaaS, what else?”). These building blocks are not just about moving information from one location to another (including from and to hundreds of SaaS apps), but more and more also include Big Data and AI (artificial intelligence) capabilities. Making it possible to integrate things like cognitive services, machine learning, etc. Creating real end-to-end business apps that the business wants, now! With technology that until a year ago, was just not available (at a reasonable cost) to smaller sized companies. Being an integration guy, you do have a special role in the teams. You are the guy that connects the building blocks and makes sure that the business app actually is resilient. And that you can properly monitor and manage the solution. The time-to-market for these apps is phenomenal. Instead of weeks or months, you can create value in hours or days! And the speed at which Microsoft is adding not only the functionalities but, more importantly, the non-functional features is amazing. They build the platform, we build the solutions! During the conference we’ll of course learn about new features that have just been released or will be released in the very near future. But to me, that is not the most important part anymore. 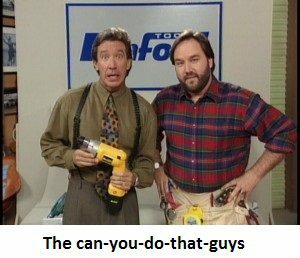 The IT world to me is clear now: integration folks have to become “the can you do that guys“. We need to show our customers what is actually possible by assembling all these great building blocks into very valuable business solutions. Just do a PoC or Pilot and show the customer you’re at what you can build in such a short time. Sooner or later, your customer will also be saying “iPaaS, what else!“. Our customers are all becoming software companies. We can help them do just that!